“Pricing is great. The support is great. Everything is there. SP Marketplace solutions really took our SharePoint implementation to the next level for our organization." Tree Care Industry Association is a nonprofit trade association that serves all size customers who are owners of tree care firms. Established in 1938, TCIA now serves over 2,200 companies and has become the premier service for safety and education training programs, standards of tree care practice, and management information for arboriculture firms across the globe. Their flagship Certified Tree Care Safety Professional (CTSP) Program is the only safety credentialing program in the industry. Data shows that companies with an employee enrolled in the CTSP program experience fewer accidents and injuries, less lost time, and reduced costs. 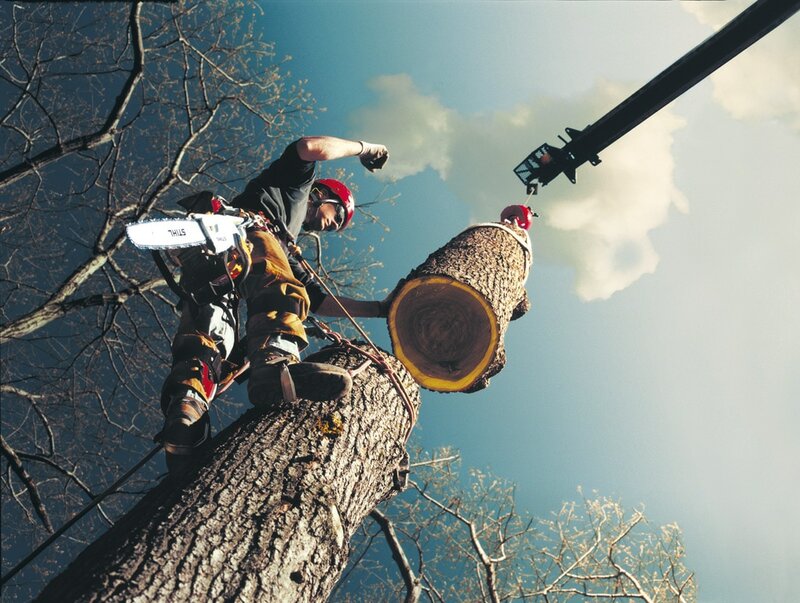 The Association's Tree Care Academy offers a variety of courses that can be used by employers for credentialing and training employees according to industry standards. It also teaches and tests for critical skills and knowledge to verify the competency of employees to work safely and professionally in and around trees and equipment. To improve service and drive productivity with SharePoint, the Association came to SP Marketplace for a solution. The ability for the TCIA marketing team and staff to go back and look at notes, figure out where they are within the process, which steps have been taken, and what communications had occurred completely transformed how the organization provided services. Like many companies, TCIA had challenges organizing communications within the company. They relied strictly on email, and word of mouth. Access to policies, procedures, documents, and forms was spread across files servers and not easily accessible. If an email was sent months ago, employees would spend endless amounts of time searching previous conversations targeting exactly when something was sent and what was written. With no system in place to handle this all, emails would get lost or missed, paper trails would go missing, and communication was poor. Task tracking was difficult with no way to track who was assigned and managing follow-up. There had to be a better way to organize internal services, and the Association suspected that SharePoint could be the answer. They found that that SharePoint had all the basic features to help, but as a platform they would need to build a business solution for their specific needs. ​TCIA, like many nonprofit organizations, did not have the resources or skills to design and build solutions from scratch. They could use consultants but found out the costs were beyond their budgets, and component apps from the app store filled specific needs but did not provide an overall solution structure. With the growing demand for their services worldwide, TCIA did some research and reached out to SP Marketplace to help them fill the communication void within their company. After a short time using Microsoft’s SharePoint platform, the company invested in SP Marketplace’s SharePoint IT Support module as a starter template. SP Marketplace worked with TCIA to customize the IT Support and Help Desk into a marketing ticketing system for the company's marketing group to use for various tasks across the board: brochures, proofing, job processing, and allocation of costs, marketing plans, and more. Through an end-user marketing portal service requests could be submitted, latest announcements reviewed, documents accessed, and the marketing schedule reviewed. 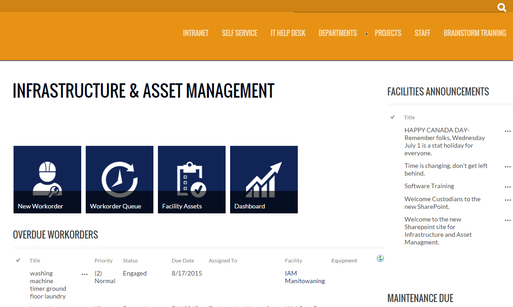 Marketing staff now has its own portal to track requests, internal tasks, documents, schedules, and more. Each team member has their own My Work page, email notifications, and alerts automatically occur with built-in workflows and service levels, and productivity can be measured through real-time dashboards and Excel reports. The ability for the marketing team and staff to go back and look at notes and figure out where they are within the process and which steps have been taken, and what communications had occurred completely transformed how the organization provided services. Asked how SP Marketplace could improve their overall services, IT Director Bruce White replied, “You can't improve. Pricing is great. The support is great. Everything is there. SP Marketplace solutions really took our SharePoint implementation to the next level for our organization.” TCIA is currently looking at adding more SP Business Suite modules to automate other areas of the organization.